Thanks for notify us about Ad ID : 343812. 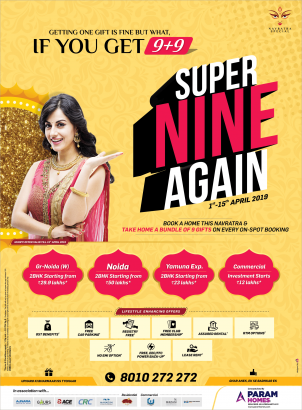 This time ParamHomes bring the most amazing Navratri scheme “Super Nine Again” where you get “9+9” benefits. 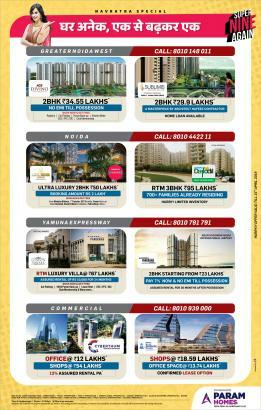 Book a home and On Every On-spot booking, Get assured 9 gifts and 9* offers from the developer.